Coach of the Year honours in the American Hockey League. His comments on Hockey Night in Canada’s "Coach's Corner" routinely make headlines as they entertain, educate, and often upset some fans throughout North America. He may be controversial, but no one can deny the popularity he enjoys; popularity that was reflected in his top 10 ranking in the competition to determine "The Greatest Canadian. "Now from Grapes himself comes the book that hockey fans of all ages have been waiting for. 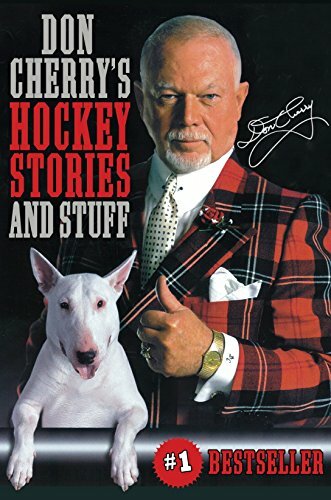 Written with veteran sports journalist Al Strachan, here are Don Cherry's favourite stories from his career in hockey. And you can imagine the stories he has to tell.From the Hardcover edition.